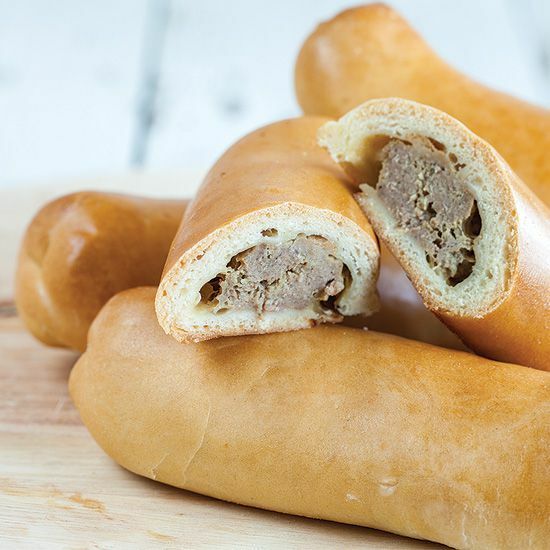 Sausage rolls can be made with flaky dough, but this typical Dutch kind of sausage rolls are healthier using a less fatty home-made dough. HEAT half of the milk to just a little bit warmer than lukewarm and stir in the dry yeast and sugar. Wait for about 5 to 10 minutes until the mixture becomes foamy. Slowly melt the butter and set aside. ADD flour and a tablespoon of salt to the bowl of your standmixer and slowly mix in the yeast mixture. POUR in the melted butter and about 1 cup lukewarm water. MIX until you’ve reached a soft dough. Set aside to rest for about 15 minutes. Again knead the dough for a few minutes so it will become elastic and then cover with a damp towel. Let it rise for about 1 hour, or until doubled in size. Line a baking tray with parchment paper and pre-heat the oven to about 220 degrees celsius or 430 degrees fahrenheit. Make an eggwash by mixing an egg with a little bit of water or milk and set aside. PLACE the two slices of bread in a bowl or soup plate and pour the other half of the milk over them. The bread will absorb all the milk and will become very soft. Squeeze the milk out of the bread and add the bread to another bowl. 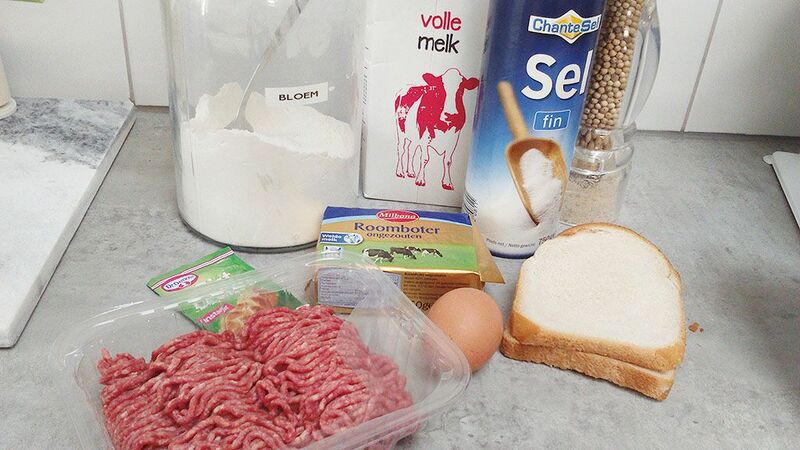 ADD the minced meat and the egg and mix it well with your hands. Season with ground nutmeg, pepper and salt. Still using your hands, roll them into 12 sausages and place them on a clean plate. Set them to rest in the refrigerator until your dough is ready. GRAB the dough and knead it one more time. 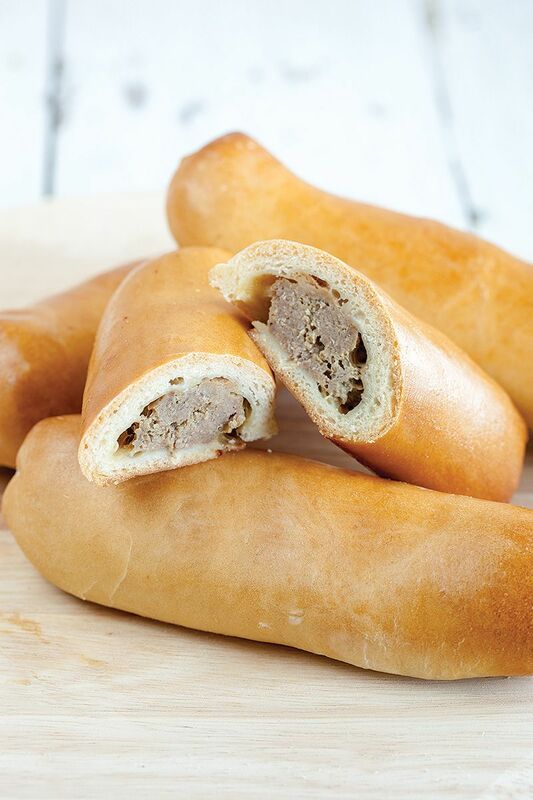 DIVIDE into 12 equal dough balls and roll them using a rolling-pin into oval-shaped flat dough pieces. PLACE a sausage on top and fold the sides inwards and then roll them over to close them. 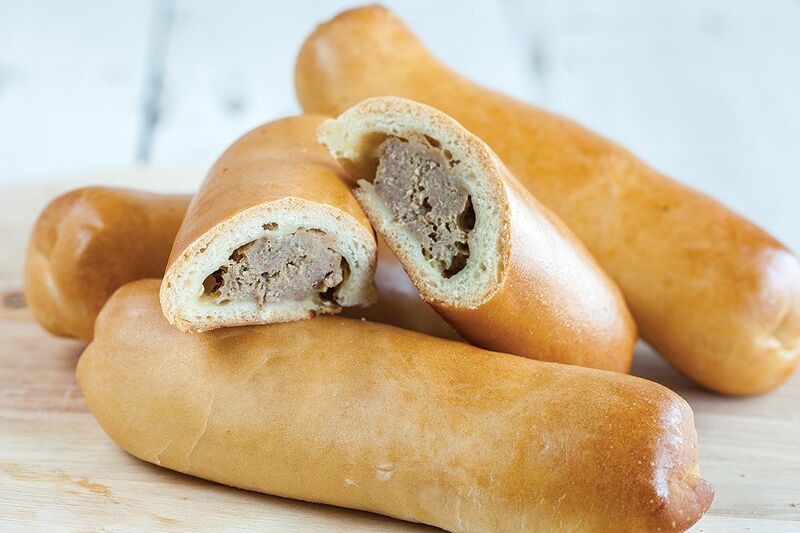 Make sure you can’t see the sausage anymore, just the dough. PLACE the sausage rolls on a parchment paper lined baking tray, leave some space between them and brush them with egg wash. BAKE the sausage rolls for about 15 to 20 minutes, or until golden brown. Wait a little while before eating them, cause they are very hot on the inside.